The Emperor commissioned bishop Pedro de la Gasca to restore the peace, naming him president of the Audiencia and providing him with unlimited authority to punish and pardon the rebels. Gasca repealed the New Laws, the issue around which the rebellion had been organized. 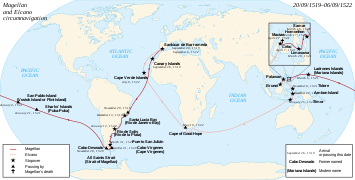 Gasca convinced Pedro de Valdivia, explorer of Chile, Alonso de Alvarado another searcher for El Dorado, and others that if he were unsuccessful, a royal fleet of 40 ships and 15,000 men was preparing to sail from Seville in June. In 1564, Miguel López de Legazpi was commissioned by the viceroy of New Spain, Luis de Velasco, to explore the Maluku Islands where Magellan and Ruy López de Villalobos had landed in 1521 and 1543, respectively. The expedition was ordered by Philip II of Spain, after whom the Philippines had earlier been named by Villalobos. El Adelantado Legazpi established settlements in the East Indies and the Pacific Islands in 1565. He was the first governor-general of the Spanish East Indies. After obtaining peace with various indigenous tribes, López de Legazpi made the Philippines the capital in 1571. In the 1620s and 1630s, the Dutch West India Company established many trade posts or colonies. The Spanish silver fleet, which carried silver from Spanish colonies to Spain, were seized by Piet Heyn in 1628. In 1629 Suriname and Guyana were established. In 1630 the West India Company conquered part of Brazil, and the colony of New Holland (capital Mauritsstad, present-day Recife) was founded. An early motive for exploration was the search for Cipango, the place where gold was born. Cathay and Cibao were later goals. The Seven Cities of Gold, or "Cibola", was rumoured to have been built by Native Americans somewhere in the desert Southwest. As early as 1611, Sebastián Vizcaíno surveyed the east coast of Japan and searched for two mythical islands called Rico de Oro (Rich in Gold) and Rico de Plata (Rich in Silver). Books such as The Travels of Marco Polo fuelled rumours of mythical places. Stories included the half-fabulous Christian Empire of "Prester John", the kingdom of the White Queen on the "Western Nile" (Sénégal River), the Fountain of Youth, cities of Gold in North and South America such as Quivira, Zuni-Cibola Complex, and El Dorado, and wonderful kingdoms of the Ten Lost Tribes and women named Amazons. In 1542, Francisco de Orellana reached the Amazon River, naming it after a tribe of warlike women he claimed to have fought there. Others claimed that the similarity between "Indio" and "Iudio", the word for Jew in Spanish language about 1500, revealed the indigenous peoples' origin. Portuguese traveller Antonio de Montezinos reported that some of the Lost Tribes were living among the Native Americans of the Andes in South America. Gonzalo Fernández de Oviedo y Valdés wrote that Ponce de León was looking for the waters of Bimini to cure his aging. A similar account appears in Francisco López de Gómara's Historia General de las Indias of 1551. Then in 1575, Hernando de Escalante Fontaneda, a shipwreck survivor who had lived with the Native Americans of Florida for 17 years, published his memoir in which he locates the Fountain of Youth in Florida, and says that Ponce de León was supposed to have looked for them there. This land somehow also became confused with the Boinca or Boyuca mentioned by Juan de Solis, although Solis's navigational data placed it in the Gulf of Honduras. Sir Walter Raleigh and some Italian, Spanish, Dutch, French and Portuguese expeditions were looking for the wonderful Guiana empire that gave its name to the present day countries of the Guianas. Shipwrecked off Santa Catarina island in present-day Brazil, Aleixo Garcia living among the Guaranís heard tales of a "White King" who lived to the west, ruling cities of incomparable riches and splendour. Marching westward in 1524 to find the land of the "White King", he was the first European to cross South America from the East. He discovered a great waterfall and the Chaco Plain. He managed to penetrate the outer defences of the Inca Empire on the hills of the Andes, in present-day Bolivia, the first European to do so, eight years before Francisco Pizarro. Garcia looted a booty of silver. When the army of Huayna Cápac arrived to challenge him, Garcia then retreated with the spoils, only to be assassinated by his Indian allies near San Pedro on the Paraguay River. The tendency to secrecy and falsification of dates casts doubts about the authenticity of many primary sources. Several historians have hypothesized that John II may have known of the existence of Brazil and North America as early as 1480, thus explaining his wish in 1494 at the signing of the Treaty of Tordesillas, to push the line of influence further west. Many historians suspect that the real documents would have been placed in the Library of Lisbon. Unfortunately, a fire following the 1755 Lisbon earthquake destroyed nearly all of the library's records, but an extra copy available in Goa was transferred to Lisbon's Tower of Tombo, during the following 100 years. The Corpo Cronológico (Chronological Corpus), a collection of manuscripts on the Portuguese explorations and discoveries in Africa, Asia and Latin America, was inscribed on UNESCO's Memory of the World Register in 2007 in recognition of its historical value "for acquiring knowledge of the political, diplomatic, military, economic and religious history of numerous countries at the time of the Portuguese Discoveries." Sponsors included governments, the king, viceroys, and local governors backed by rich men. The contribution of each individual conditioned the subsequent division of the booty, receiving a portion the pawn (lancero, piquero, alabardero, rodelero) and twice a man on horseback (caballero) owner of a horse. Sometimes part of the booty consisted of women and/or slaves. Even the dogs, important weapons of war in their own right, were in some cases rewarded. The division of the booty produced conflicts, such as the one between Pizarro and Almagro. ^ "Corpo Cronológico (Collection of Manuscripts on the Portuguese Discoveries)". UNESCO Memory of the World Programme. 16 May 2008. Retrieved 14 December 2009. Afonso I (European Portuguese: [ɐˈfõsu]; 25 July 1106 / 1109 or August 1109 / 1111 – 6 December 1185), nicknamed the Conqueror (Portuguese: O Conquistador), the Founder (O Fundador) or the Great (O Grande) by the Portuguese, and El-Bortukali [in Arabic البرتقالي] ("the Portuguese") and Ibn-Arrink [in Arabic ابن الرَّنك or ابن الرَنْق] ("son of Henry", "Henriques") by the Moors whom he fought, was the first King of Portugal. He achieved the independence of the southern part of the Kingdom of Galicia, the County of Portugal, from Galicia's overlord, the King of León, in 1139, establishing a new kingdom and doubling its area with the Reconquista, an objective that he pursued until his death in 1185, after forty-six years of wars against the Moors. Antonio de Lebrija was born in 1507, in Alcántara, Extremadura, Spain; and died in 1540, in Brozas, also in Extremadura. He was a Spanish conquistador who participated in the Spanish conquest of the Muisca and the Chimila peoples. He was the treasurer of the conquest expedition which left Santa Marta in April 1536 following the high quality salt trail, the Camino de la Sal, along the Suárez River up the slopes of the Eastern Ranges of the Colombian Andes towards the Muisca Confederation. Conquistador! is an album by Cecil Taylor released on the Blue Note label. "Conquistador" (Conqueror) was the Portuguese entry in the Eurovision Song Contest 1989, performed in Portuguese by Da Vinci. 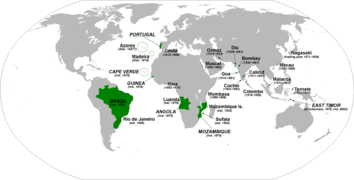 The song reminisces about the former Portuguese colonial possessions worldwide. Lead singer Tei Or takes the role of the Portuguese state and sings that she has been to Brazil, Praia, Bissau, Angola, Mozambique, Goa, Macau and "Timor" (the last a reference to East Timor). The song was performed ninth on the night, following Norway's Britt Synnøve with "Venners nærhet" and preceding Sweden's Tommy Nilsson with "En dag". At the close of voting, it had received 39 points, placing 16th in a field of 22. It was succeeded as Portuguese representative at the 1990 Contest by Nucha with Há Sempre Alguém. Conquistador is a board game simulating the exploration of the New World in the 16th century. Players take on the role of European countries sending expeditions to find gold and establish colonies. Although the design uses the trappings of board wargames such as a hex map, combat is not a major part of the game. It was designed by Richard Berg and originally published by Simulations Publications, Inc. as Conquistador! in 1976, then republished by Avalon Hill in 1981. Conquistador Cielo (March 20, 1979 – December 17, 2002) was an American Thoroughbred racehorse. He is best known for his performances as a three-year-old in 1982 when he won the Belmont Stakes and was voted United States Horse of the Year. Da Vinci is a Portuguese band created by Iei-Or and Pedro Luís Neves, whose members included Ricardo, Joaquim Andrade, Dora and Sandra Fidalgo, among others throughout the years. Since Ricardo had a plane accident, he was replaced by Tó. They represented Portugal in the Eurovision Song Contest 1989 with the song "Conquistador" and finished 16th. Presently only the two founding members are in the band. Francisco Hernández de Córdoba (Spanish: [fɾanˈθisko eɾˈnãndeθ ðe ˈkoɾðoβa]; died 1517) was a Spanish conquistador, known to history mainly for the ill-fated expedition he led in 1517, in the course of which the first European accounts of the Yucatán Peninsula were compiled. Juan (Francisco) de Céspedes Ruiz (1501 or 1505 in Argamasilla de Calatrava, Castile – 1573 or 1576 in Bogotá, New Kingdom of Granada) was a Spanish conquistador who is known as the founder of the town of Pasca, Cundinamarca, in the south of the Bogotá savanna, Colombia. De Céspedes arrived in the Americas in 1521 and participated in the conquest of the Tairona and the foundation of Santa Marta under Rodrigo de Bastidas. From 1542 to 1543 and in 1546 he served as mayor of Bogotá and after that until 1570 as lieutenant general of the first president of Colombia. Juan de Céspedes married Isabel Romero, one of the first Spanish women who arrived at Colombian territories and had two legitimate sons and one daughter. His date of death is uncertain; in late 1573 or 1576. Knowledge about Juan de Céspedes has been provided by chroniclers Gonzalo Jiménez de Quesada in his memoirs (1576), Pedro Simón in 1626, Juan Rodríguez Freyle in his work El Carnero (written between 1636 and 1638) and Lucas Fernández de Piedrahita (1688). Juan de Oñate y Salazar (Spanish pronunciation: [ˈxwan de oˈɲate]; 1550–1626) was a conquistador from New Spain, explorer, and colonial governor of the province of Santa Fe de Nuevo México in the viceroyalty of New Spain. He led early Spanish expeditions to the Great Plains and Lower Colorado River Valley, encountering numerous indigenous tribes in their homelands there. Oñate founded settlements in the province, now in the Southwestern United States. Today Oñate is known for the 1599 Acoma Massacre. Following a dispute that led to the death of thirteen Spaniards at the hands of the Acoma, including Oñate's nephew, Juan de Zaldívar, Oñate ordered a brutal retaliation against Acoma Pueblo. The Pueblo was destroyed. Around 800-1000 Acoma were killed.Of the 500 or so survivors, at a trial at Ohkay Owingeh, Oñate sentenced most to twenty years of forced "personal servitude" and additionally mandated that all men over the age of twenty-five have a foot cut off. He was eventually banished from New Mexico and exiled from Mexico City for five years, convicted by the Spanish government of using "excessive force" against the Acoma people.Today, Oñate remains a controversial figure in New Mexican history: in 1998 the right foot was cut off a statue of the conquistador that stands in Alcalde, New Mexico in protest of the massacre, and significant controversy arose when a large equestrian statue of Oñate was erected in El Paso, Texas in 2006. Juan de Sanct Martín, also known as Juan de San Martín, was a Spanish conquistador. Little is known about De Sanct Martín, apart from a passage in El Carnero (1638) by Juan Rodríguez Freyle and Epítome de la conquista del Nuevo Reino de Granada, a work of uncertain authorship. He took part in the expedition from Santa Marta into the Eastern Ranges of the Colombian Andes led by Gonzalo Jiménez de Quesada and founded Cuítiva, Boyacá in 1550. Juan de Sanct Martín headed the left flank of the Spanish troops in the Battle of Tocarema against the Panche on August 20, 1538, while his fellow conquistador Juan de Céspedes commanded the right flank. In this battle, Juan de Sanct Martín killed the cacique of the Panche and was hurt himself. Juan de Sanct Martín had confronted the Panche the year before, when he was sent to the west while De Céspedes went south. Due to the resistance of the bellicose Panche, De Sanct Martín returned to the Spanish camp. Pedro Fernández de Valenzuela (?, Córdoba, Andalusia - ?, Córdoba) was a Spanish conquistador who took part in the expedition of the Spanish conquest of the Muisca led by Gonzalo Jiménez de Quesada from 1536 to 1538. He was the cousin of Hernán Venegas Carrillo and after his journey in the New World returned to Córdoba. He was buried in the church of the former Hospital San Bartolomé de las Bubas in Córdoba. Pedro de Portocarrero (c. 1504 – c. 1539) was a Spanish conquistador who was active in the early 16th century in Guatemala, and Chiapas in southern Mexico. He was one of the few Spanish noblemen that took part in the early stages of the Spanish conquest of the Americas, and was distantly related to prominent conquistador Pedro de Alvarado, who appointed him as an official in early colonial Guatemala. Scouting in New Mexico has had a rich and colorful history, from the 1910s to the present day, serving thousands of youth in programs that suit the environment in which they live. The state is home to the Philmont Scout Ranch. Zoratama, also spelled as Soratama, was a Muisca woman and the lover of Spanish conquistador Lázaro Fonte. Her story reminds of the North American indigenous Pocahontas who married John Rolfe after saving the life of John Smith. Together with Lázaro Fonte, Zoratama was forced in exile and settled in Pasca, Cundinamarca, in the south of the Muisca territory. After informing conquistador Gonzalo Jiménez de Quesada of the arrival of new conquistadors, they were taken back to the newly founded capital Bogotá of the New Kingdom of Granada. According to legend, Zoratama committed suicide and infanticide by drowning herself and her son in sacred Lake Guatavita.